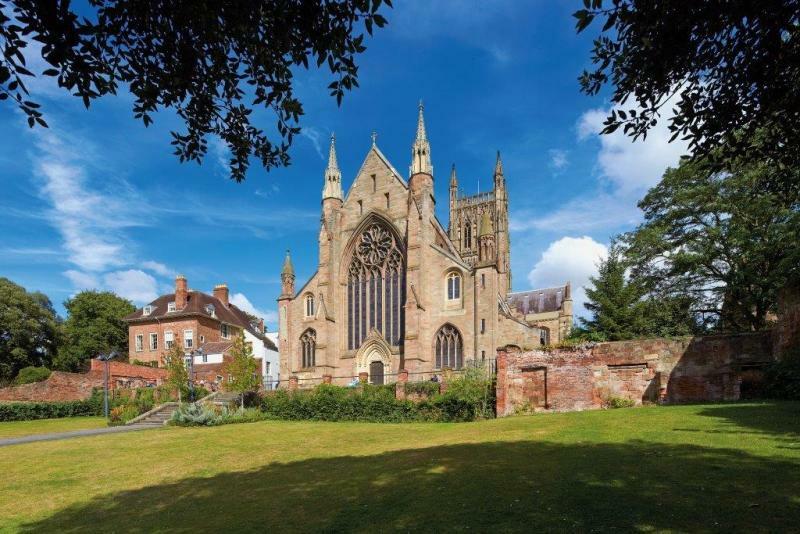 Worcester Cathedral and St Swithun’s Church have both received support of over £1million from the Heritage Lottery Fund to help more people to explore their heritage. Worcester Cathedral. Image Courtesy HLF. Thanks to National Lottery players, two projects, led by Worcester Cathedral and the Churches Conservation Trust, will work to conserve these historic buildings and create innovative new learning spaces for visitors and local people. More than £1m has been earmarked for a project to open up the 12th-century undercroft at Worcester Cathedral to the public for the first time. A former monastic cellar, the space will be transformed into a unique new learning centre with teaching rooms, storage and administration space, reception area, and a lift. The three-year project aims to provide a permanent venue for the Cathedral’s award-winning education programme, reaching more people across Worcestershire and beyond. It would also enable conservation and research on the internationally significant ‘Christ in Majesty’ 13th-century stone carving. Development funding of £168,000 has been awarded to the Cathedral by HLF to progress the project in order to apply for a full grant of just over £1m at a later date. The Churches Conservation Trust has received a confirmed £1.64m National Lottery grant from HLF for a project to transform St Swithun’s into an inspirational sensory space and cultural venue. Located in the heart of Worcester, the Grade I listed church will install ground-breaking new interpretation, which will creatively use sound and art to engage, enthuse and inspire a greater connection to heritage and history. Sound and Art @ St Swithun’s (SASS) will enable the splendid Georgian architecture to be repaired and conserved, transforming the building into a cutting edge space for new innovative forms of engagement. The project, which was previously awarded HLF development funding of £196,100, will also run an exciting programme of events, from night-time tours to training placements, alongside the capital works.